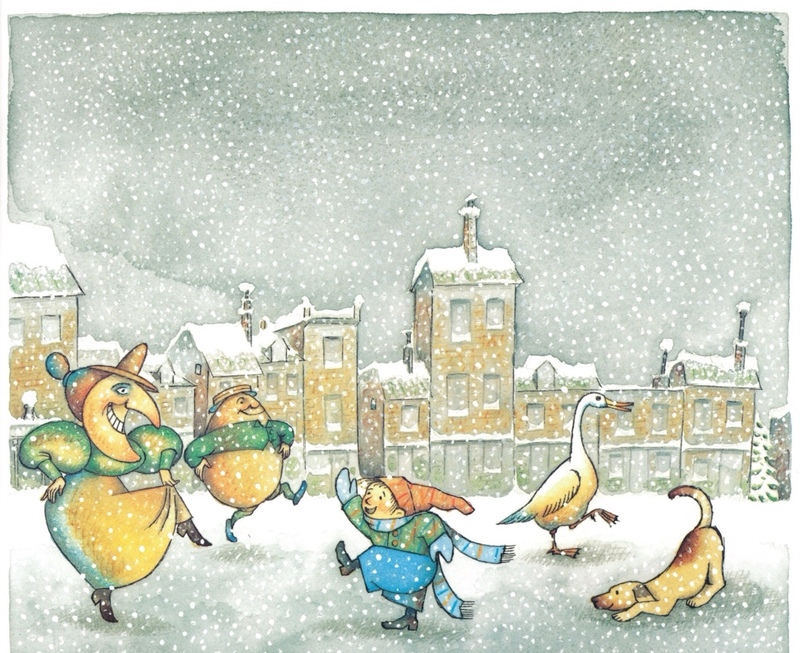 Here's a little treat for anyone missing Maurice Sendak this Christmas. Not an undiscovered book I'm afraid, but a story by one of his contemporaries, another New York author/ illustrator from Poland, Uri Shulevitz. 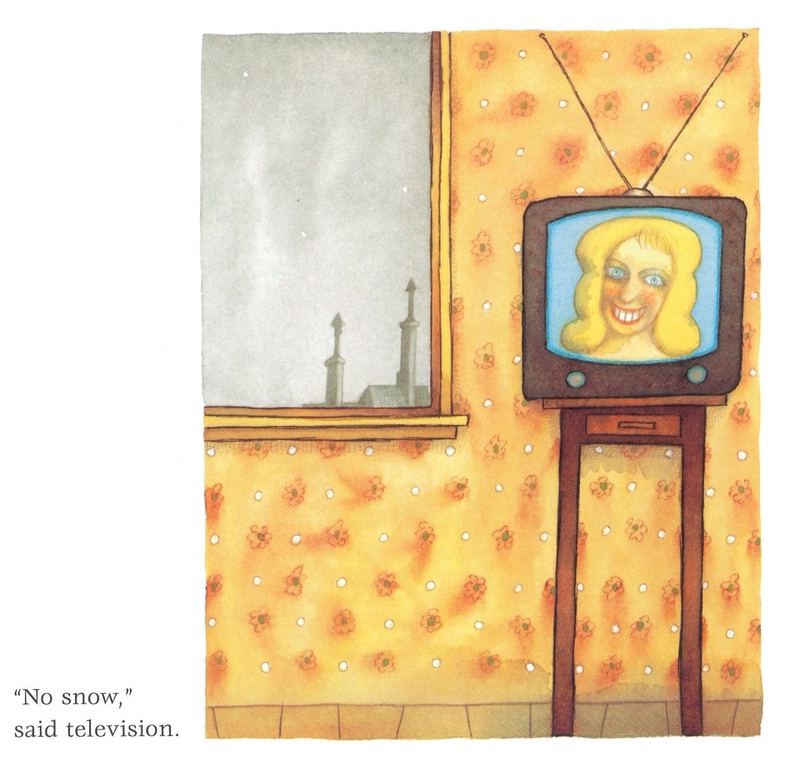 Snow, first published in 1998 has that same distinctive mid-century style. His stylish caricatures are both crooked and curved. 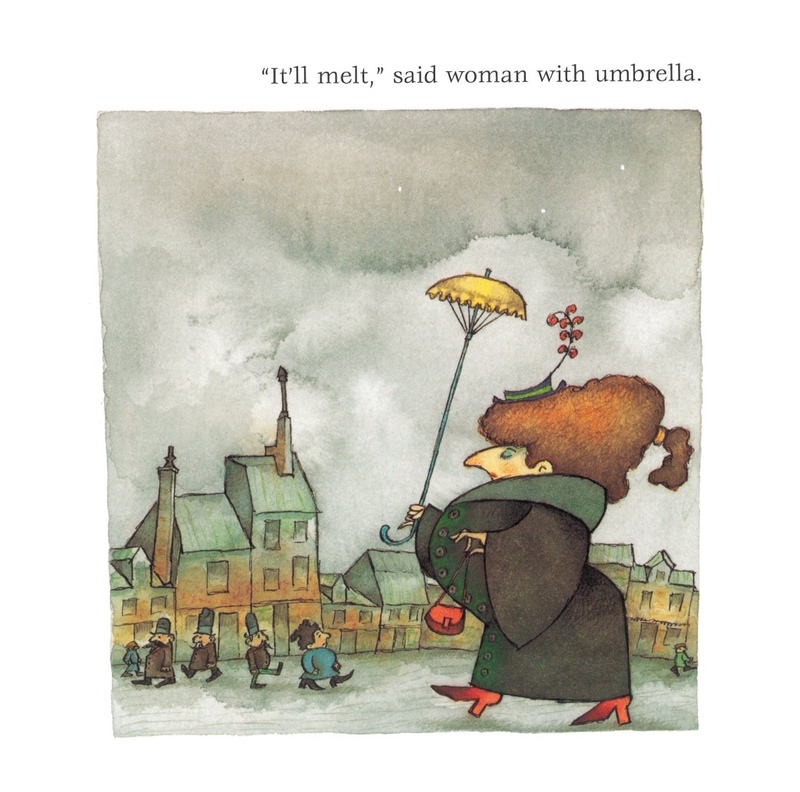 Beyond the striking visuals Shulevitz shared Sendak's ability to see things from the child's point of view. 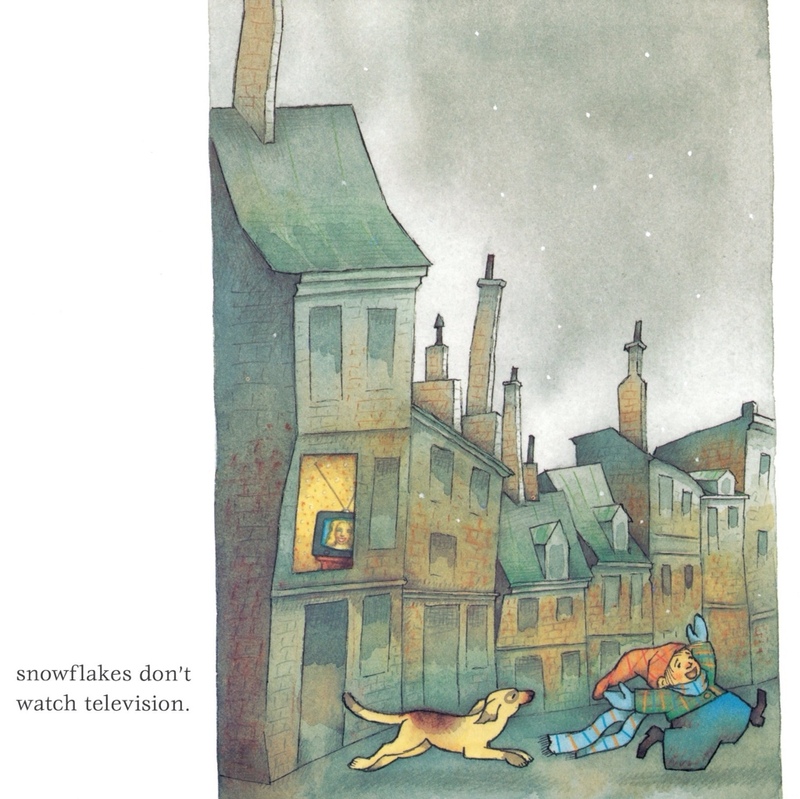 Our hero, the 'boy with a dog', spots a single snowflake against the grey skies of the grey city. But the tired and cynical adults just try to dampen his high spirits. 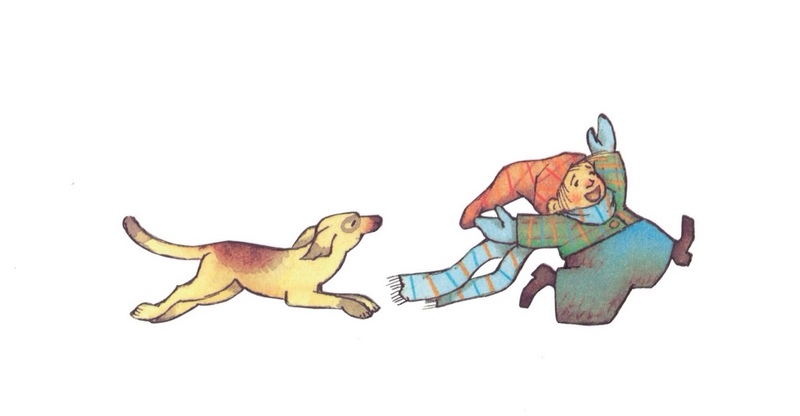 But luckily neither the boy with a dog, nor the snowflake listen to grown ups. All snowflakes know is snow, snow, and snow. 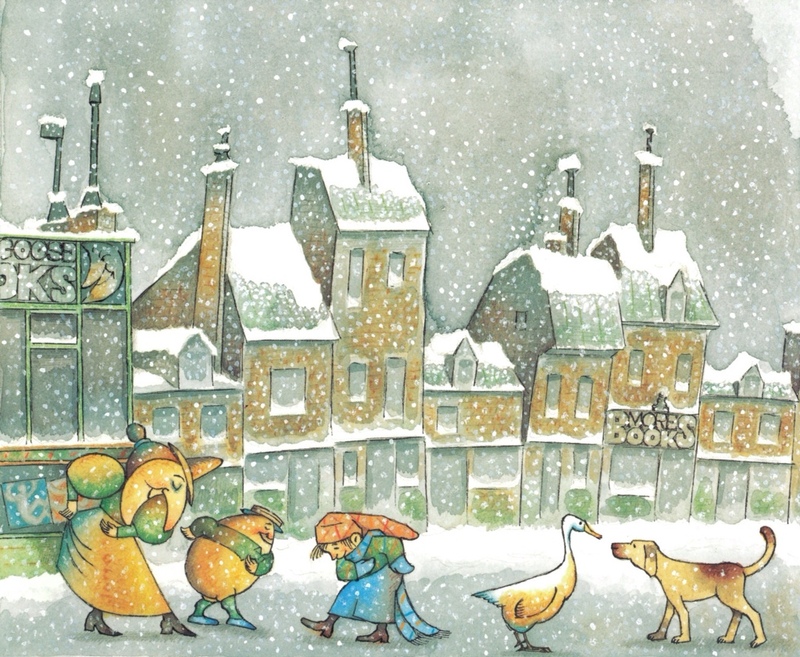 As the town turns from dank eastern European hues to bright white, the grown ups are vanquished, and the boy with the dog are joined by Mother Goose and her friends. Eventually The sharp angles and drab colours are vanquished entirely until it is just the boy with a dog, alone in the soft white dreamscape. A perfect book for anyone hopefully checking the weather forecast this December. 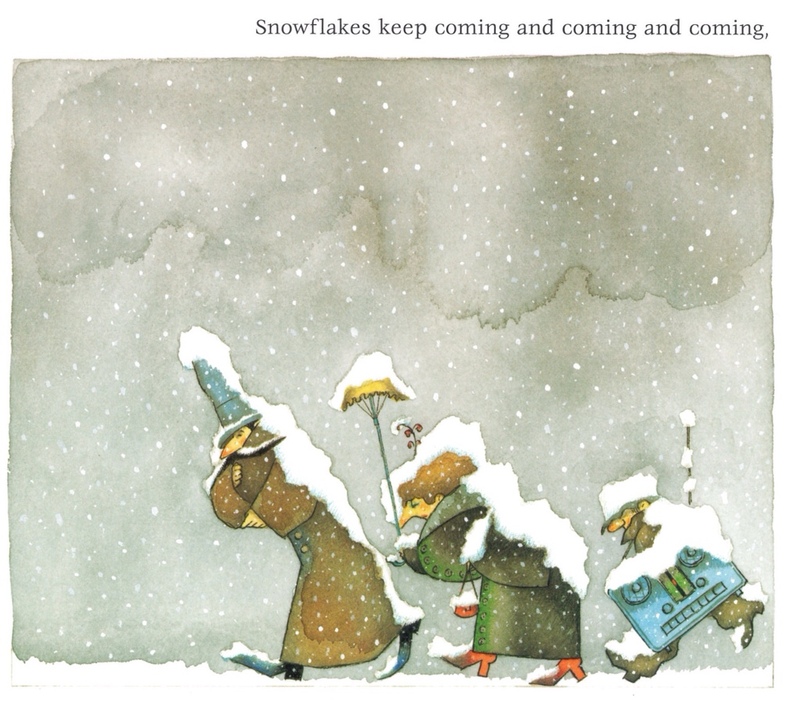 Tags: christmas, Maurice Sendak, Snow, Uri Shulevitz. Bookmark the permalink.